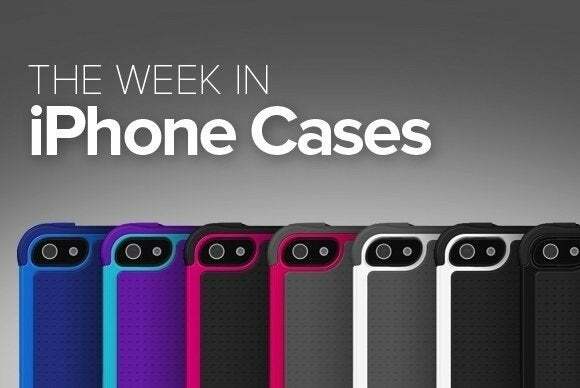 This week’s roundup of new iPhone cases includes reliable protection from Ballistic, iLuv, Lunatik, PureGear, and X-Doria, plus a wallet option from Moshi. 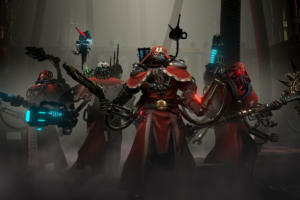 ... plus, a limited edition case from CalypsoCrystal, and more! 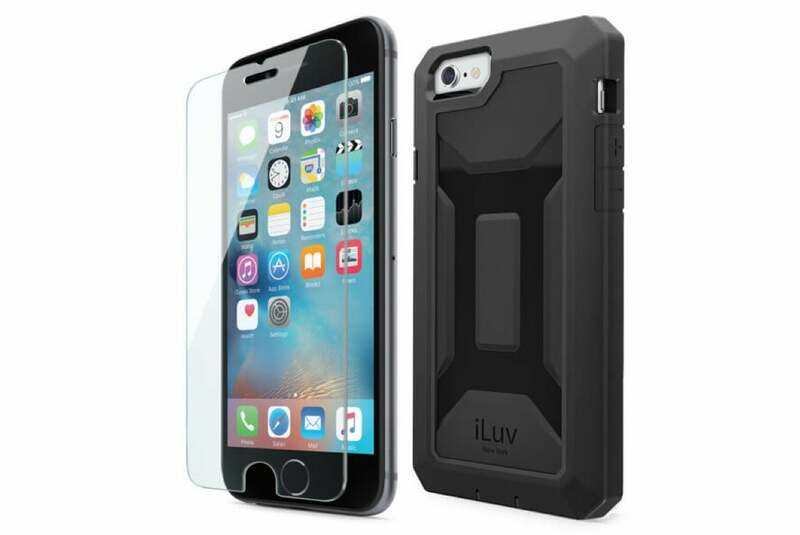 The Tough Jacket (iPhone 6/6s; $35) features reinforced corners that prevent damage against corner drops. This multi-layered case has been tested against falls from up to six feet high, and includes raised edges for extra protection. The Edition Black (iPhone 6/6s and 6 Plus/6s Plus; $199) sports a luxurious Italian leather enclosure with a soft Alcantara interior. 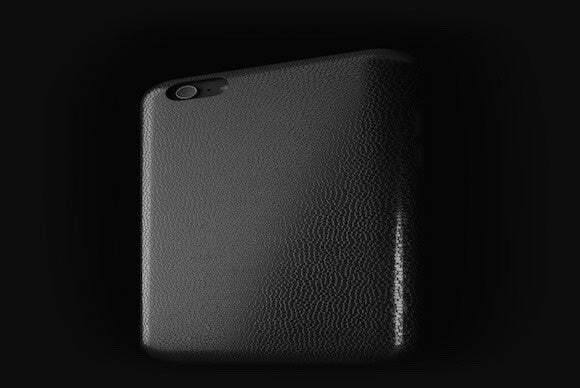 The Edition Black is available in two models: The Cabrio, a protective shell with precise cutouts for all of the iPhone’s ports and buttons, and the Book, a folio case with an elegant leather cover that keeps your screen safe at all times. 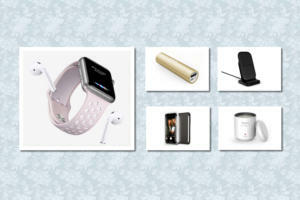 To make it feel more high end, each piece comes in a premium black gift box with a signed certificate of authenticity. 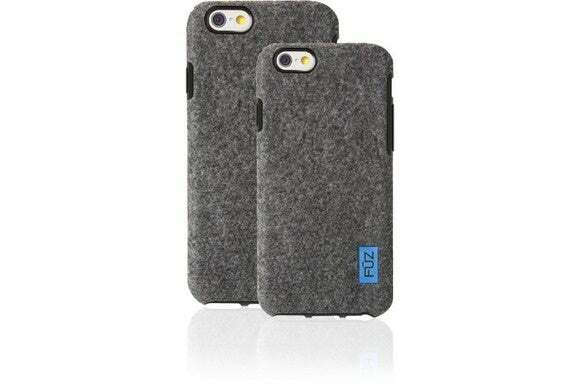 The Felt Case (iPhone 6/6s and 6 Plus/6s Plus; $30 to $35) addresses all your “fuzzy” protective needs with an inner layer of thermoplastic urethane finished with industrial grade felt for a unique look. This case sports a thin profile, but still boasts of excellent protection from accidental drops and bumps thanks to its design. 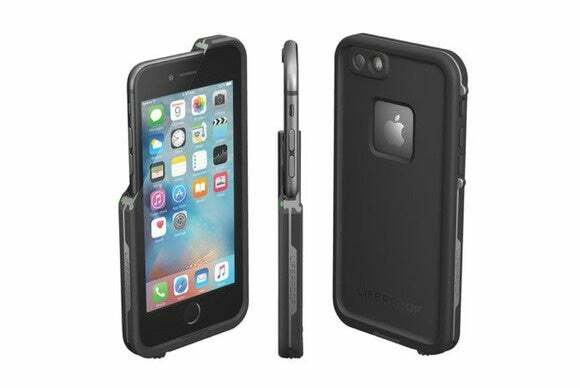 The rugged DropArmor X (iPhone 6/6s; $35) combines two layers of sturdy materials to enhance its shock absorption and impact resistance. The case includes a tempered glass screen protector, offers full access to the iPhone’s ports and buttons, and sports a raised bezel that keep your screen from resting directly on flat surfaces when placed face down. Compact and sleek, the FRĒ (iPhone 6s; $80) will keep your iPhone 6s safe under just about any weather condition. The case can be submerged in water up to two meters, keeps dust and dirt away thanks to its button and screen covers, and has been completely sealed to prevent snow and dust from settling in. The FRĒ has been tested to withstand drops from up to two meters high, and comes in black, avalanche white, grind gray, banzai blue, sunset pink, or crushed purple. 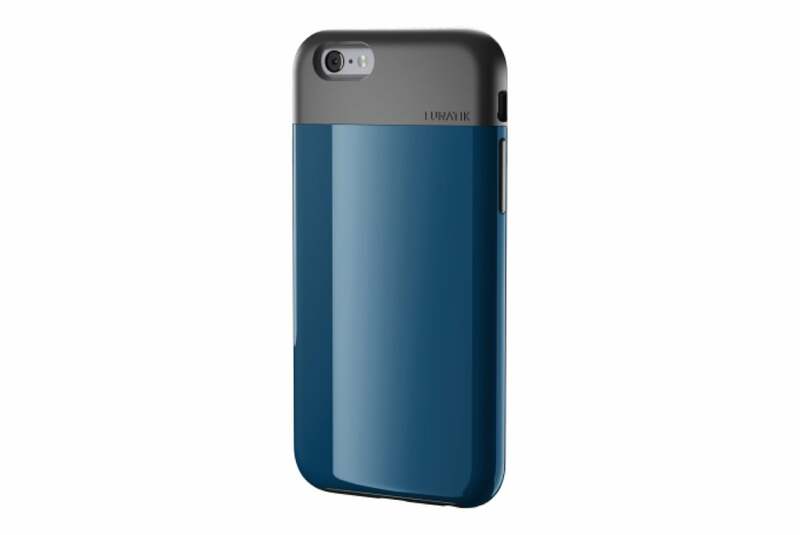 The Flak (iPhone 6/6s; $35) sports a metallic finish available in different color combinations of black, silver, black gold, dark blue, or dark raspberry. The case combines TPU and polycarbonate into a thin protective layer that prevents damage from impact, includes a precisely cut camera opening for quick access, and features matching button covers that blend in with the overall design. 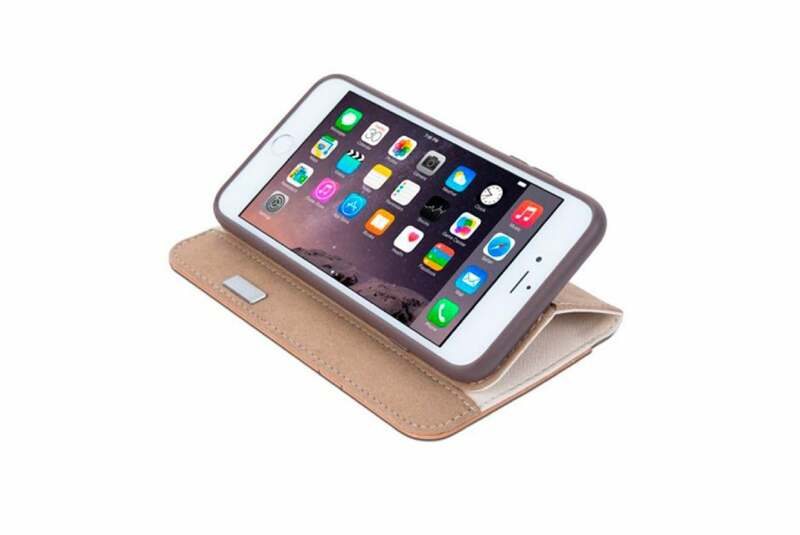 The Overture (iPhone 5/5s, 6/6s, and 6 Plus/6s Plus; $45 to $50) features a folio design with three pockets for your credit cards and a full-length inner compartment for cash. 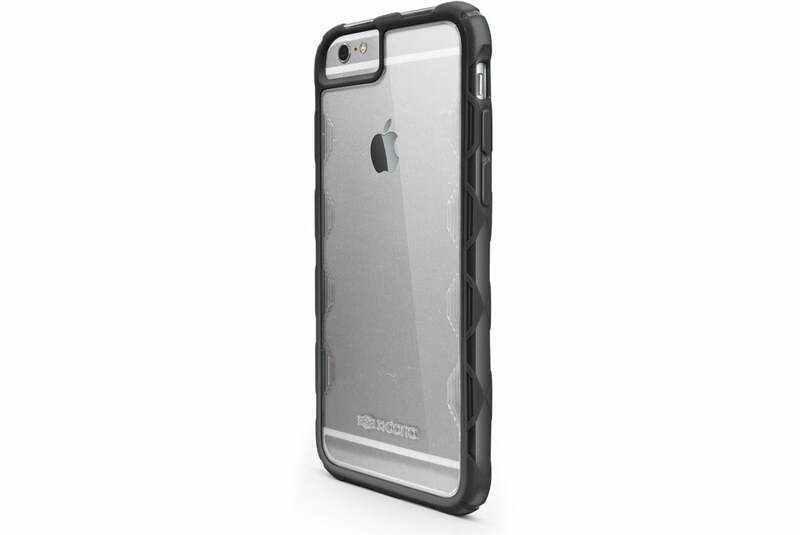 The case doubles as a stand in landscape orientation, sports cutouts for your camera, Lightning port, and headphone jack, and is available in titanium, beige, or black. The DualTek XT Extreme Terrain (iPhone 6/6s; $50) is designed to withstand the harshest conditions, thanks to its sturdy construction. 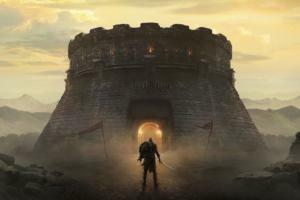 Testing has also shown that it meets or exceeds stringent military standards. 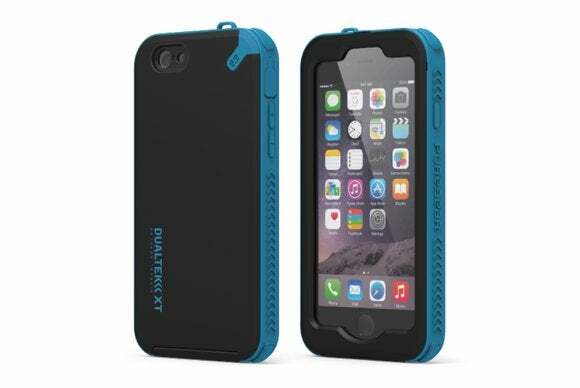 This dual-layered case protects against water and dust, includes a built-in screen shield, and features an ergonomic layout designed to lessen damage from accidental falls. The DualTek XT Extreme Terrain comes with a lanyard loop and a nylon lanyard as an alternative carrying option. The Scene Grip (iPhone 6/6s; $25) sports a transparent backing combined with a rubberized bumper for corner and side protection. 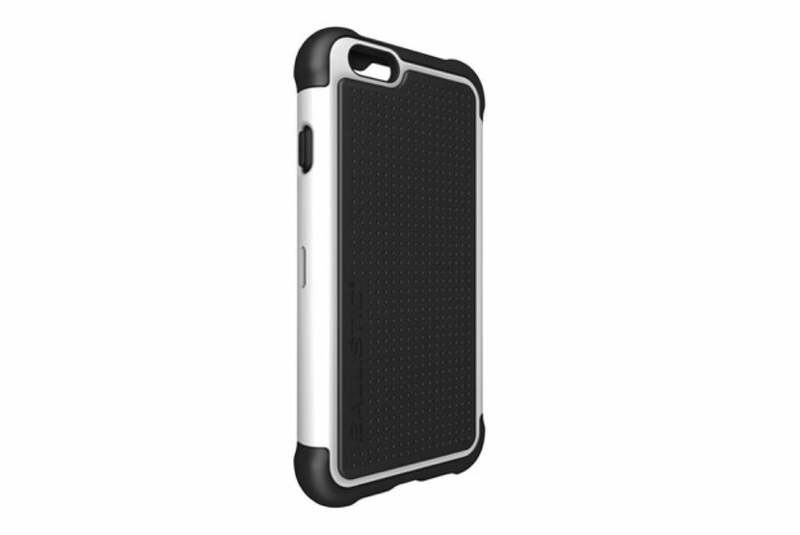 Made with hard polycarbonate, the case features a special grip-improving finish, press-through button overlays made of rubber, and a co-molded frame that keeps scratches and smudges away. 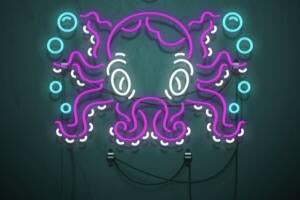 It comes in black, blue, or pink.